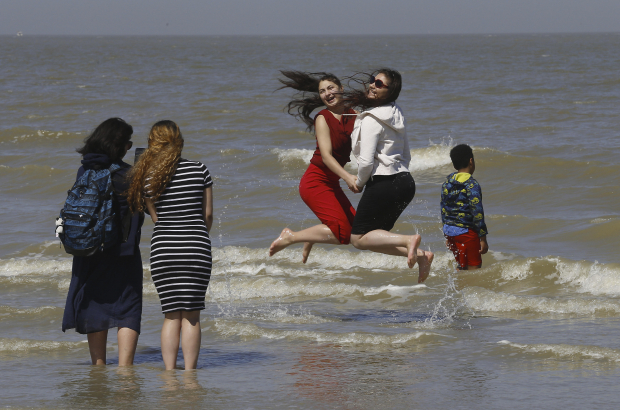 Tourism businesses on the Belgian coast have recorded their best month of July in more than a decade, with a boom in the number of daytrippers and holidaymakers due to the hot weather. About 3.5 million people enjoyed a trip to the coast this month, up 20% on last year, according to regional tourism board Westtoer. The results are on a par with July 1999 and 2006. The 21 July national holiday weekend saw the best results, with many hotels fully booked, fuelled by last-minute bookings. Throughout July, hotel occupancy rates were typically around 90-95% and the outlook for August for the hotel sector remains positive. "Tourism workers are optimistic for August," said Westtoer president Franky De Block. "The weather forecast for the next 10 days remains good. The coast remains a stand-out destination."